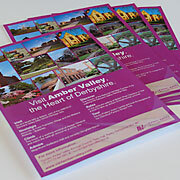 Amber Valley, the Heart of Derbyshire, is centrally situated and easy to reach with excellent transport links. Set in beautiful countryside forming the setting for a superb range of attractions which reflect the history and heritage of the area. With it's excellent transport links, the Amber Valley offers the ideal base to stay whilst exploring the local area, Derbyshire and beyond. Located in the heart of Derbyshire, the area is easily accessible from the M1 and A38 and arterial road network. 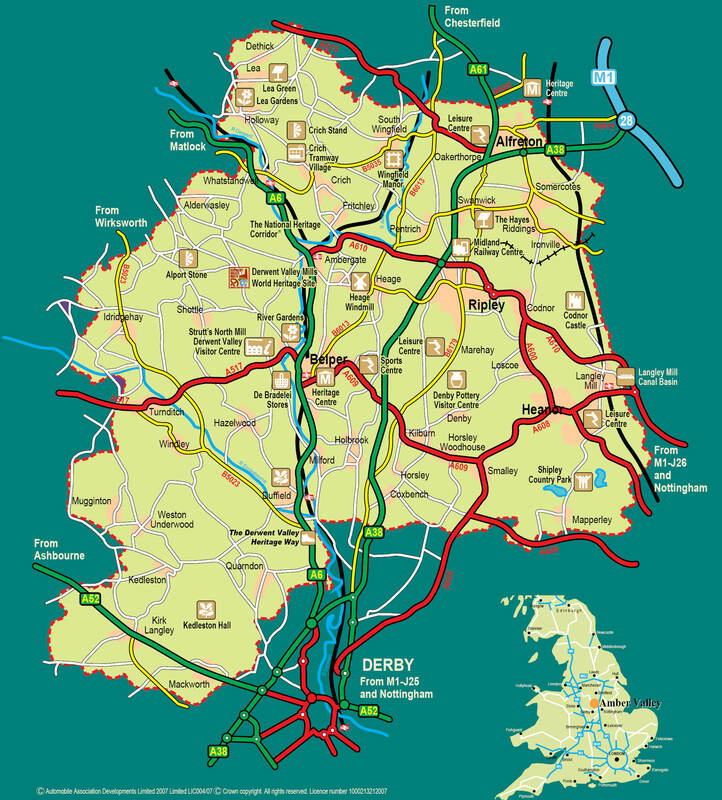 View a map of Amber Valley here. From the north and south, the M1 runs parallel to the eastern boundary with access at junctions 26 and 28. the A6 gives access to the major trunk roads via the A52 and the borough is crossed by the A38. There are stations at Alfreton, Ambergate, Belper, Duffield, Langley Mill and Whatstandwell. Mainline routes run from Edinburgh to London and Liverpool to Norwhich crossing the borough. Amber Valley is served by direct frequent bus services from surrounding towns and cities including derby, Chesterfield , Nottingham and Manchester. Rural bus services run frequently to villages.